The job interview process is a marathon. First there’s the screening interview, followed by interviews with various company leaders, skills tests, personality tests, drug tests, and background checks. All these interview tactics are making the hiring process longer. New data published by Glassdoor in June shows that the average interview process has grown by 3.3 to 3.7 days since 2009. The increased reliance on screening methods is likely contributing to longer hiring times, the report notes. Why are hiring professionals using more and more screening tactics? One possible reason is that interviews aren’t giving employers all the information they want to know about a candidate. Job candidates are smart, and they know how to deliver polished answers to tough interview questions. But to really know who a candidate is and what they can bring to your team, you need candidates to forget their rehearsed responses and speak candidly. You can reduce your time to hire by learning everything you want to about a candidate in the initial interview, through open conversations. But getting candidates to show their true selves is easier said than done. Most job seekers walk into an interview blind. They don’t know what to expect, what you’re looking for, and how to prepare. In fact, a 2014 report of more than 95,000 candidates conducted by Talent Board found that 31.9 percent weren’t given any information from the employer to help prepare for the interview. Nearly 40 percent of candidates were given names and background information about their interviewers, and just 26.6 percent were given a detailed agenda. That means that most candidates don’t even know who will be interviewing them — that’s crazy! Candidates who don’t know what to expect from an interview will be nervous from the start. Without any real way to prepare, they’ve googled the most common interview questions and how to answer them. When they get into the actual interview, they recite these planned responses because they’re nervous and because that’s how they’re told to prepare for the unexpected. Help your candidates feel more comfortable, and tell them what the interview process will be like. Let them know who will be interviewing, how they can prepare, what the tone will be like, and even what to wear. Candidates will be less worried about the unexpected and can focus more on the conversation. In addition, you’re letting candidates know that you’re on their side and you want them to do well in the interview. Before the interview even starts, you’re setting the tone for a conversation not an interrogation, which encourages candidates to open up and be genuine. Job candidates respond to interview questions with canned responses because they think it’s what you want to hear. But if you let candidates know you want to have an open and honest conversation, they will appreciate it. In a survey of U.S. employees published by 15Five in March, 81 percent of respondents said they would rather join a company that values open communication than trendy perks like free food and gym memberships. Candidates want to speak openly with you, you just need to let them know that’s what you want. At the start of the interview, let candidates know that you want to have a real conversation. Tell them you’re going to be upfront and honest, and that you expect the same in return. Assure them that you want to get a sense for their personality, and you want them to get a feeling for the company culture and what the job would actually be like. If you set the stage for the conversation you want and establish open communication from the beginning, candidates will more likely be candid. If you want candidates to be less formal and restrained, you’re going to have to do the same. Candidates want the job so they take their cues from you. Your attitude and actions set the tone for the interview. Even if you tell a candidate from the start that you want an open conversation, they won’t speak freely unless they feel a connection with you. This is where you need to do your homework. Find something on their resume, LinkedIn profile, or other social profile that you have in common. Start the conversation there. You want to establish rapport and make the candidate feel comfortable. If you can’t find anything in common before the interview, spend the first few minutes trying to establish a connection by talking about yourself and your interests, and asking the candidate about theirs. You want to start with light, personable, and fun questions first to get the candidate warmed up. If you pull out your toughest interview questions within the first 10 minutes, the candidate is going to feel attacked, freeze up, and retreat back into their rehearsed responses. You have your trusted list of interview questions you ask each candidate. They’re designed to assess the skills needed for the job, work ethic, personality, and cultural fit. But if you’re asking every candidate the same questions, you’re missing the opportunity to have natural conversations. If you’re asking canned, rehearsed questions, candidates are going to give you bland, practiced answers. Ditch the list. The best interviewers in journalism don’t prepare a strict list of questions to ask interviewees. 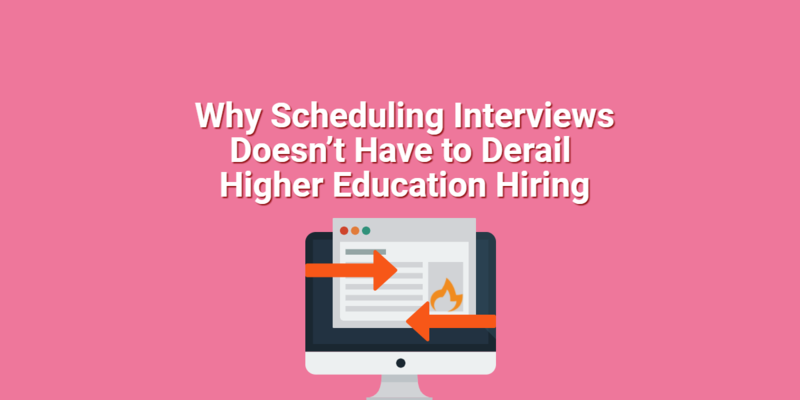 Instead, they prepare by knowing the topics they want to touch on during the interview, then they listen to the interviewee so they can lead a conversation on those topics. Do the same in job interviews. All candidates are different, so your conversations should all be different. What about their resume interested you? What questions about their experience do you have? Forget the generic questions and ask them ones specific to them. Don’t just nod and move on to the next question like a robot. Listen to their responses and engage in a conversation. If you engage candidates in a human conversation, they’ll need to break away from their formal responses and enter the exchange. 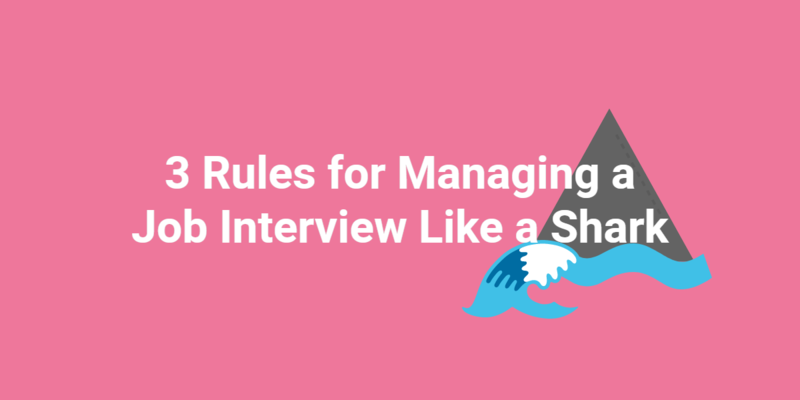 You’ll learn a lot more about a candidate and get more from the interview if you throw out your script and see where the chat goes. Forget the generic #interviewquestions and ask ones specific to them! Job candidates are master evaders of tough questions. They know how to answer your questions without really answering them. If you ask them about gaps in their resume, problems at their current jobs, or past failures, they can breeze through them by talking obtusely about new opportunities and learning experiences. When candidates give these answers, interviewers typically move on. Don’t move on. If a candidate doesn’t really answer your question, ask a follow-up question. Rephrase the question and ask them more questions about their superficial answer to get them to expand and give a real answer. The candidate can’t dodge you forever — eventually, they will give a more specific and direct answer. When candidates walk into a job interview, they tense up. They turn into overly formal and rigid office employees. The professional setting of traditional in-person interviews feels stuffy and makes candidates feel like they need to be fake to impress you. Break out of the traditional interview box and go digital. Using video interviews can help make candidates feel more relaxed. Video interviews feel more casual than in-person ones and candidates can participate in the interview from the comfort of their own homes. In addition, one-way interviews may be more comfortable for candidates. Without the pressure of answering on the spot, candidates in a one-way interview can take the time to think about their answers before they hit record or re-record their answers, if they’re not satisfied with their first answer. That means candidates can think critically about the question, instead of just responding with the first generic answer that pops into their heads and can catch themselves forcing answers. Take the pressure out of interviews with video and watch candidates give real answers. Just the word interview can make job seekers nervous. So don’t interview — have a meet up instead. Frame the interview as a meet-up, chat, or hang out. Meet at a coffee shop, get lunch, or have a video chat. This makes the process more casual, shifts the power, and puts candidates on the same level as interviewers. From an equal playing field, candidates will feel more freedom to express themselves, open up, and ask questions that matter to them. In an informal meeting, the interview becomes a conversation between two professionals about career goals, opportunities, and job experiences. It’s a get to know you session, not a pressurized assessment of skill. At the end of the interview, don’t leave candidates hanging. Keep the open conversation going and let them know how they did. According to a survey of 20,000 professionals around the world conducted by LinkedIn in February and March, 94 percent of respondents want to receive feedback in their interview. Let candidates know what they did well and what they need to work on. Doing so will improve their experience and will show them that you really do care about their career growth. The better experience a candidate has during the interview process, the better your employer brand. Candidates who have a good experience will recommend you to their peers, making your future candidates more comfortable and open from the start. In the same vein, you can ask for feedback from the candidate. As an interviewer, what do you need to work on? Their insight can help you better conduct interviews in the future. Although a job candidate’s first instinct is to play it safe in the interview, you can get real answers and have an open conversation with a few tweaks to your strategy. How do you work around rehearsed answers to interview questions? Let us know in the comments below!